JREF is pleased to release a free, ten part, video lecture series by Harriet Hall titled " Science Based Medicine"
The video course may be viewed on YouTube and the companion course guide may be downloaded here. Harriet Hall, MD, also known as The SkepDoc from her column of that name in Skeptic magazine, is a retired family physician and former flight surgeon who retired from the Air Force with the rank of colonel. She writes prolifically about medicine, so called alternative medicine, science, quackery, and critical thinking. She is an editor of the Science-Based Medicine blog where she has contributed an article every Tuesday since the beginning of 2008. She is also a contributing editor of both Skeptic and Skeptical Inquirer magazines, and a Fellow and Executive Council Member of the Committee for Skeptical Inquiry (CSI). She is co-author of the textbook Consumer Health: A Guide to Intelligent Decisions and author of Women Aren’t Supposed to Fly: The Memoirs of a Female Flight Surgeon. 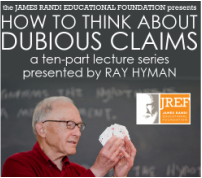 JREF is pleased to release a free 10 part video lecture series by Ray Hyman titled "How To Think About Dubious Claims" and companion course guide. Smart people can act stupidly by failing to apply their intelligence wisely. This course draws lessons from scientists and smart people who went astray. This course provides a framework to help you avoid their mistakes. Ray Hyman is a professor emeritus of psychology at the University of Oregon. Hyman's published research has been in such areas as pattern recognition, perception, problem solving, creativity, and related areas of cognition. He has written and published extensively on the psychology of deception and critiques of paranormal and other fringe claims. The 10 lecture video course can be viewed on YouTube. > The companion course guide can be downloaded here. 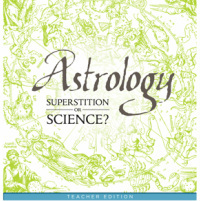 Astrology: Superstition or Science? is a downloadable lesson module for use in high school and junior high school science and psychology classes that allows students to explore the scientific method, critical thinking and parapsycholological research through an examination of the history of belief in astrology. Students can come to their own conclusions about whether the claims of astrology merit assent, and engage in hands-on experiments about astrological predictions. Astrology: Superstition or Science? exposes students to concepts identified in the national science content standards and AAAS science literacy benchmarks related to the scientific process, Science as Inquiry, and Science in Personal and Social Perspectives, and the History and Nature of Science, and does so while presenting a topic of that captures the attention of students from many diverse backgrounds. AAAS Science Literacy Benchmarks addressed in the lesson include The Scientific Worldview, Scientific Inquiry and The Scientific Enterprise. 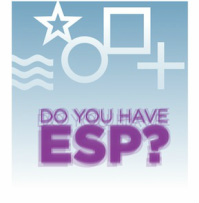 This module from the James Randi Educational Foundation is designed to allow students to come to their own conclusions about the validity of ESP claims through the use of carefully designed and controlled experiments. Students will also learn how to accurately evaluate the significance of the results guarding against, experimenter error, bias, and intentional fraud. Students will explore concepts of critical thinking and the scientific process. This exercise is suited for students in biology or psychology classes and can be completed in one hour although may require additional time depending on the number of trials performed. 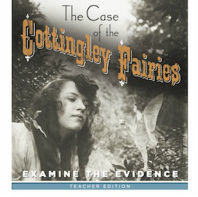 The Case of the Cottingley Fairies educational module examines one of the most celebrated public hoaxes in history. This guide tells the Cottingley story while exploring the role of publicity, celebrity, and physical evidence in shaping the public’s perception of extraordinary claims. This exercise is suitable for any classroom context and can be completed in a single class period. 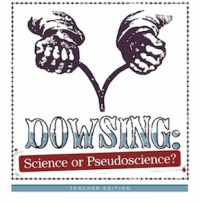 Dowsing: Science or Pseudoscience? explores the history, claims, methods, and science of dowsing. The lesson uses hands-on activities and discussion questions to help students examine the subject in a way that promotes well-reasoned skepticism of unproven and pseudoscientific claims.